When one thinks of a Christmas gift it’s usually something tangible. Clothes, music, books, Nerf guns…well you get the idea. 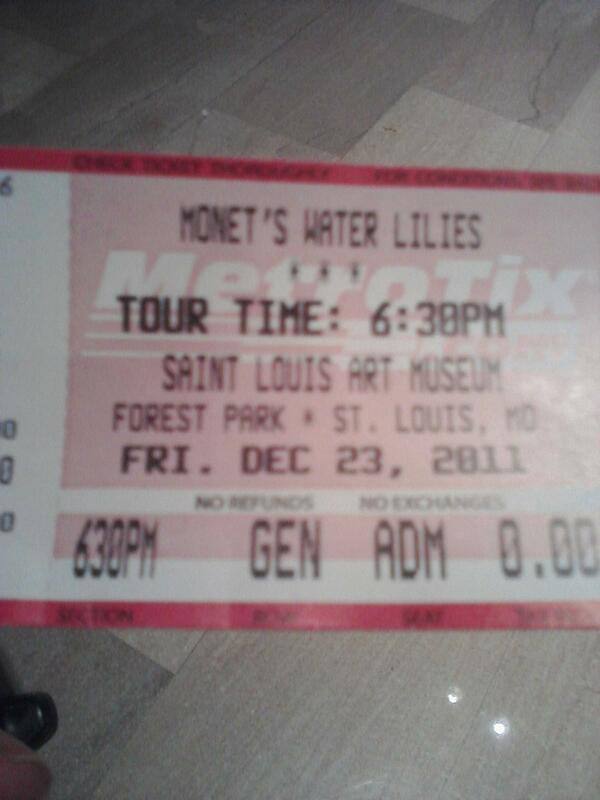 This year one gift came early in the form of an experience, Monet’s Water Lilies at the St. Louis Art Museum. For the first time in over 30 years, before I was even born, all three parts of Monet’s Agapanthus triptych were reunited and on display. Each of the three canvases measure 14 feet long with some experts believing Monet spent nearly 10 years on the piece. I could go on and on about the specifics of the painting, or you can just click here. I’ve always had a great appreciation for art and the artists behind them. 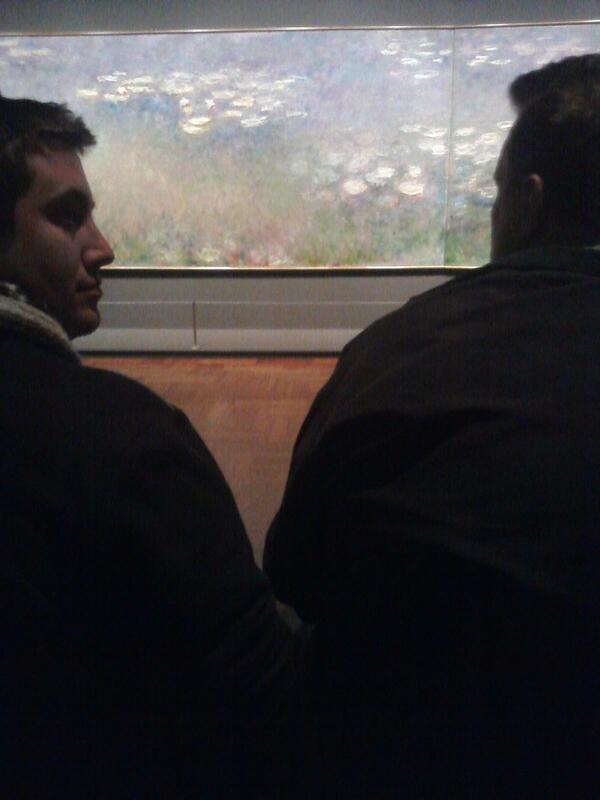 My visit to this exhibit, however, was the first time I sat in awe of a piece of work. My father, younger brother, and myself spoke at great length, comparing what we were individually interpreting from the painting. We didn’t even bother for the iPod tour (for which I’m glad) Sometimes we agreed, other times not so much…. I don’t think I ever had a conversation such as this with my father. We sat, stood, squinted, tilted our heads, viewed up close, viewed from afar, viewed from every angle we could imagine to gain a different perspective and perhaps a deeper understanding of what we simply could not pull ourselves away from. It saddens me to know this work will be divvied up again next month, sent back to their respective museums waiting to be reunited at a TBD date in the future. I highly suggest you check out the exhibit before it closes January 22.